The ability to share your desktop with meeting attendees can provide tremendous advantages for both you and your participants. When doing so, it can be beneficial to be able to hear audio from the remote computer. Whether you want to take advantage of the option to listen to music or to provide audio instructions, RHUB Web Conferencing servers will give you plenty of options for enhancing your presentations with audio. With RHUB Web Conferencing servers, you are able to share your desktop remotely with all of the attendees in your meeting. For instance, our web conferencing servers can be used for securely accessing applications or files from a separate computer. You could also use the web conferencing server for providing a friend or associate with temporary access to your desktop if they need a file or if you need assistance with a computer issue. RHUB is designed to ensure that you can broadcast voice audio over the phone in an efficient manner or utilize the microphone/computer speaker (VoIP). Even so, there may be instances in which you wish to take advantage of the opportunity to broadcast an audio recording directly from your computer. When using Windows Vista as well as later Windows operating systems, the presenter of a meeting is able to share his or her computer-based audio with participants simply by clicking on the Tools menu item. He or she can then select “Start to share my computer sound with attendees” option. It is that simple! Once this feature has been enabled, the presenter may then play a video and share it without attendees while also streaming the audio for that video. All that the presenter needs to do is select the “Use Mic & Speakers” option for the computer. The presenter may also choose the “Use Telephone” option. The default RHUB conference call number with integrated audio will be used. Presenters can take advantage of numerous advantages by using the option to share computer audio with their meeting participants. For instance, not all learners are the same. Many individuals learn better through audio. As a result, by sharing audio, you can increase learning effectiveness. Sharing audio also presents the opportunity to collaborate in a more effective manner. You may also find that sharing audio presents the opportunity to work more efficiently while reducing confusion. Furthermore, with this option, you can take advantage of the opportunity to offer live-motion training classes as well as product information to your employees, partners, and even clients. This technology can also be used for illustrating and promoting your services and products. As you can see, the ability to share computer audio with participants during a conference can set the stage for improved communication while also broadening your marketing capabilities. Are you interested in learning how you can share your computer audio with your meeting attendees? If so, call us today at +44 (0)1925 659 523 or email us at rhub@collaboration-technologies.co.uk to receive a quick demo. Among the top reasons that many people give for not using video conferencing is that they believe it is too time-consuming or too complicated. Others believe it is too tech-intensive. Some companies often think that the quality is too low to adopt on a company-wide basis. Video conferencing has evolved significantly. It now provides an easy, quick, and simple way to improve communication and can be used even if you do not have any prior experience or a full IT department. Employees and customers of RHUB now use the RHUB Web Conferencing Servers, which is the firm’s premier web video conferencing solution, for holding more than 100 meetings on a monthly basis with external attendees. Many people often make the mistake of assuming that video conferencing is simply too complicated to use on a regular basis. In reality, video conferencing does not require a separate audio line or even a license key. With RHUB Web Conferencing Servers, it is possible to invite anyone to attend from any location and on any network. Even first-time users will find that RHUB Web Conferencing Servers are simple and fast. It only takes three easy steps to join a meeting, compared to 50 for a similar offering from the typical conference room/end point system. There is often a misconception that it will take too long to join a video conference and the time spend getting started is a waste of time. In fact, it takes less than a minute for even first-time users to join a meeting using RHUB web conferencing servers. It takes longer than that to refill your coffee! Along with presenting the opportunity to started faster and easier, RHUB Web Conferencing Servers offer robust updates. What this means for you is that you do not an IT professional to walk you through the process. 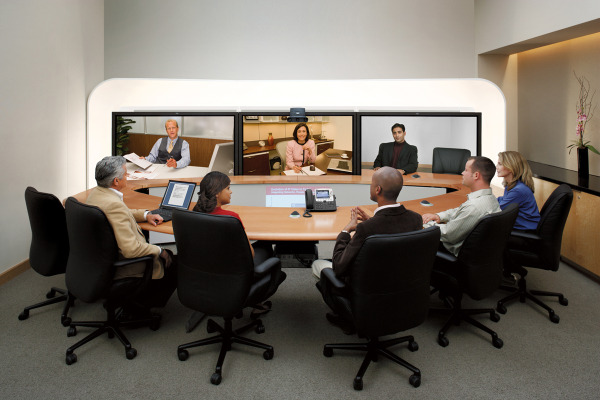 Among the biggest misconceptions about video conferencing is that it will be low quality with a shaky, fuzzy picture. RHUB web conferencing servers actually display a high-definition video with crisp quality. User motion is smooth and features enhanced resolution. In fact, the resolution on video conferencing with RHUB is more than double that of standard television. Video conferencing has developed significantly and the experience and quality provided by RHUB Web Conferencing Servers now makes it possible to take advantage of quality that will make it feel as though you are in the same room with your participants. Are you excited to learn more and conduct your own video conference using RHUB Web Conferencing Servers? All it takes is one phone call. Contact us today at +44 (0)1925 659 523 or email us at rhub@collaboration-technologies.co.uk. We would be happy to provide a quick demo and answer any questions you may have.